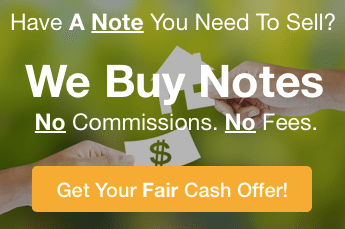 What Makes a Seller Financed Note Valuable to Note Buyers? What makes a seller financed mortgage valuable to note buyers? Selling real estate with owner financing is increasing. 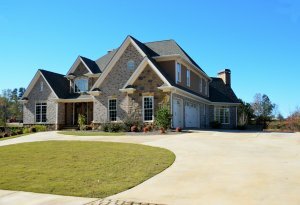 Seller financing can solve a variety of real estate problems. It can be an excellent way to put a real estate deal together. But seller financing is also an area in which sellers make the biggest mistakes… caused by wanting/needing to sell a property and not paying attention to what makes a seller financed mortgage valuable to note buyers. So what makes a seller financed mortgage valuable to note buyers? There a number of factors that a note buyer evaluates when determining the value of a mortgage note. The first group of factors all relate to the payer. Here we look at two things. How is the payer performing on his note with you? Have all payments been made on time? How has the payer been performing with his other creditors? Note buyers will look at the payer’s credit report. When creating an owner financed note, be sure to check the credit report of the buyer. As this is a risk reward business, the more risk the note buyer has to absorb with a payer…the lower the payer’s credit score… the less the note buyer will be able to pay for the real estate note. Property Type… there is a pecking order as far as preference to the collateral securing the note. The most desirable note from a note buyer’s point of view is the single family owner occupied residence. This is followed by rental real estate, commercial real estate and raw land. Loan Amount… Loan amounts and UPB (unpaid principal balance) are important too. Many note buyers may not want small loan amounts. LTV… Loan to Value… Once, again we are looking at risk reward… the more the payer has at risk… the more equity he has… the less likely… he is to default on his real estate note in the event of difficulty. And the more that mortgage note will be worth. Terms… Lending and note investing is all about yield. The rate needs to be competitive and present a substantial reward for the level of risk involved. And most importantly the payer has to be able to afford the terms of the mortgage note. Seasoning… it has been said that the best predictor of future performance is past performance. You can sell newly originated mortgage notes. However, the more seasoned the loans are, with good performance, the more valuable they will be. Keeping them for 3-12 months before trying to sell could make a sizable difference in how much you get for the same note. If you are holding a real estate note and would like to know how much i is worth, please fill out the short form on this website or call us at 772-232-2383. We have been buying seller financed mortgages since 1989 in almost all states. Check out what our customers have to say about dealing with us.